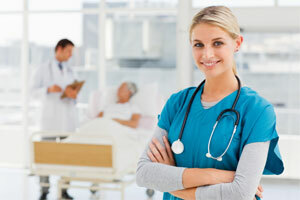 A career in the field of nursing can be exciting and fulfilling. Nurses help patients get better. With their assistance, people who are sick will find a caring and sympathetic voice at their side. A nurse may be there to show a patient how to care for a newborn. They might be there at their side to help them change dressings or learn to walk with a cast. Those who want to enter this profession must be prepared to get the right training. They also need to pass examinations showing they have mastered the fundamentals of the profession. 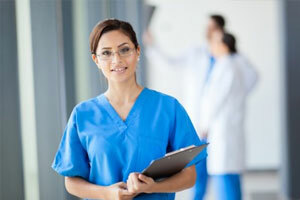 Although the training for the CNA certification test can be difficult, with the right program, many succeed and pass the testing standard of the NCLEX exam. There are several resources online to help you get prepared for your CNA certification examinations. One of the more popular resources is Think CNA Online, which emphasizes online training options for aspiring CNA students. The online resources provided can aid in the preparation for the NCLEX test. If you are not yet familiar with the NCLEX exam, we have summarized the test and it’s parts below. The NCLEX, or National Council Licensure Examination, is a standardized test that all state boards of nursing require potential nurses to take and pass. Candidates can sign up for the exam once they have completed their basic nursing degree. The exam is graded on a pass / fail basis and can be taken up to eight times a year. The exam is taken electronically at a testing center. Once the candidate registers to take it, they are given a date and told where to report. They must pay a fee in advance before taking it. Taking the NCLEX means taking an exam that helps illustrate that the nurse has mastered the basic fund of knowledge that nurses need. The exam covers the following fields: safe, effective care environment, psychosocial integrity, health promotion and maintenance, and physiological integrity. 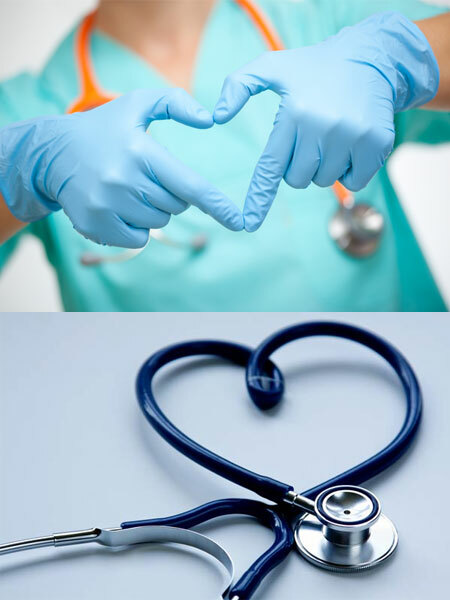 Each part of the exam is further divided into several categories including safety and infection control, coping and adaptation, prevention and early detection of disease, basic care and comfort, reduction of risk potential, pharmacological and parenteral therapies and growth and development through the lifespan. Each test taker can expect questions related to these subjects on the test. The NCLEX examination has a series of multiple choice questions (view the CNA examination guide at ThinkCNAOnline). Test takers work with an interactive system that helps determine many test questions they need to answer. The system called, computerized Adaptive Testing (CAT) will then decide when they have passed it. Candidates seeking an RN degree should expect to answer a minimum of 75 questions during the course of the test. Candidates who are applying for LPN certification can expect to answer at least 85 questions. The test continues until the candidate completes the required number of test questions and either passes or fails. The HIPAA law plays an integral role in protecting important personal information. This article is intended to inform the medical community as to the legislation's purpose, as well as the steps impacted individuals and companies must take to ensure they meet regulations it establishes. Most of these requirements are centered around patient data security, which includes HIPAA website hosting and other compliant patient privacy measures. The acronym stands for the Health Insurance Portability and Accountability Act (HIPAA). The act is a piece of federal legislation adopted by the United States Congress and signed into law by President Clinton in 1996. The main purpose of this law is to protect the sensitive medical and financial information shared by patients and healthcare entities like insurance companies and medical facilities such as hospitals and clinics. With the advancement of technology like computers, most medical information has and continues to be stored electronically. Though the usage of computers provided better organization of such vital information, said action also opened the possibility of being compromised by white collar criminals like computer hackers. Through their actions, alleged computer hackers can access vital personal information such as an individual's medical records or financial records and use this knowledge to commit acts of malfeasance such as theft and fraud. Said malevolent acts have the potential to cost patients and medical institutions thousands, perhaps millions of dollars. The HIPAA Act affords the federal department of Health and Human Services (HHS) to implement specific mandates that all health insurance companies and medical institutions must meet to be compliant. Among the most crucial aspects of said compliance is ensuring the computer systems said entities utilize to store important medical and financial information employ the most stringent safeguards against potential breaches as possible. Security mandates do not only pertain to the safety measures employed to protect sensitive information. Compliance is also met by taking all necessary steps to anticipate any potential breach, as well as establishing a contingency plan that addresses that any breach will be identified and resolved with as much speed and efficiency as possible. Implementing such safeguards will often require impacted entities to employ measures such as restricting informational access to as few employees as possible, adopting stringent security measures for those who are permitted access, installing software designed to provide greater protection to stored records, develop warning systems that help those who monitor the systems identify if any breaches or other suspicious activity has taken place and provide a means of locking down the system if a known breach has occurred.